Andy Hoffman is the Holcim (US) Professor of Sustainable Enterprise at the University of Michigan; a position that holds joint appointments in the Management & Organizations department at the Stephen M. Ross School of Business and the Sustainable Systems group at the School of Environment and Sustainability. Dr. Hoffman’s research uses organizational behavior models and theories to understand the cultural and institutional aspects of environmental issues for organizations. He has published over 100 articles/book chapters, as well as 14 books, which have been translated into five languages. In this work, he focuses on the processes by which environmental issues both emerge and evolve as social, political and managerial issues, including: the evolving nature of field level pressures related to environmental issues; the corporate responses that have emerged as a result of those pressures, particularly around the issue of climate change; the interconnected networks among non-governmental organizations and corporations and how those networks influence change processes within cultural and institutional systems; the social and psychological barriers to these change processes; and the underlying cultural values that are engaged when these barriers are overcome. He also writes about the role of academic scholars in public and political discourse. Among his list of honors, he has been awarded the Aspen Institute Faculty Pioneer Award (2016), American Chemical Society National Award (2016), Strategic Organization Best Essay Award (2016), Organization & Environment Best Paper Award (2014), Maggie Award (2013), JMI Breaking the Frame Award (2012), Connecticut Book Award (2011), Aldo Leopold Fellowship (2011), Aspen Environmental Fellowship (2011 and 2009), Manos Page Prize (2009), Aspen Institute Rising Star Award (2003), Rachel Carson Book Prize (2001) and Klegerman Award (1995). His work has been covered in numerous media outlets, including the New York Times, Scientific American, Time, the Wall Street Journal, National Geographic, Atlantic and National Public Radio. 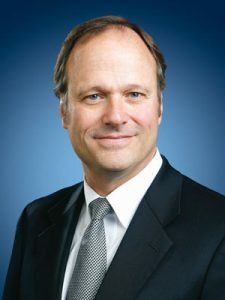 He has served on numerous research committees for the National Academies of Science, the Johnson Foundation, the Climate Group, the China Council for International Cooperation on Environment and Development and the Environmental Defense Fund. Dr. Hoffman holds a Ph.D. from the Massachusetts Institute of Technology, awarded jointly by the Sloan School of Management and the Department of Civil and Environmental Engineering. Prior to academics, Andy worked for the US Environmental Protection Agency (Region 1), Metcalf & Eddy Environmental Consultants, T&T Construction & Design and the Amoco Corporation. 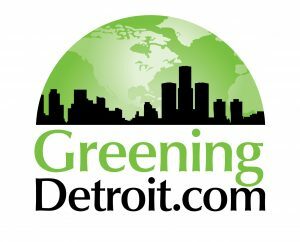 Andy serves on advisory boards of the Oakwood Healthcare System, University of Michigan Museum of Art, Earth Portal, Center for Environmental Innovation, and Canopy Partnership, as well as the editorial board of Organization & Environment. Please make sure to read Dr. Hoffman’s recent article, “The Next Phase of Business Sustainability” at Standford Social Innovation Review, published Spring 2018.